Stefano De Caro is an internationally renowned archaeologist whose career spans decades of service in senior positions in the Italian cultural ministry and in academia. Since his appointment as Director-General of ICCROM in November 2011 as the first Italian national to assume leadership of the organization, De Caro has contributed to expanding the dialogue on heritage conservation and protection. He has worked tirelessly to strengthen activities, both internationally and regionally, for cultural heritage conservation and protection within ICCROM’s Member States. ICCROM is an intergovernmental organization created after World War II to promote best practices in conservation and management of cultural heritage. De Caro was instrumental in establishing ICCROM’s first regional office, the newly inaugurated ICCROM-ATHAR Centre located in Sharjah, United Arab Emirates. De Caro has also encouraged ICCROM’s actions for post-emergency stabilization and training, most particularly after the Nepal earthquake in 2015, but also through distance training modules for heritage professionals in Syria and Libya. De Caro has further used his position to advance discussion on restitution and reconstruction issues for archaeological heritage, and on the complex social issues related to conflict and migration, heritage and identity. Previously, De Caro’s distinguished 35-year career at the Italian Ministry of Cultural Heritage Activities and Tourism (MiBACT) culminated in his assignment as Italy’s Director-General of Antiquities (2007-2011). In this position he developed and coordinated national guidelines for rescue archaeology and cultural resource management, and furthered negotiations for the return of Italian archaeological objects illegally exported abroad. A professor for over 25 years at universities in the Campania region, De Caro is a lecturer and journalist, having published more than 300 texts on archaeological heritage, conservation and interpretation. De Caro obtained his first degree in humanities from the Federico II University of Naples, and continued his studies in archaeology at La Sapienza University of Rome and the Italian School of Archaeology in Athens, Greece. Decorated with the French Legion of Honour, De Caro is member of the Naples Academy of Archaeology, Literature and Fine Arts, of the British Academy and of the Deutsches Archäologisches Institut. He has also received the Outstanding Public Service Award of the Archaeological Institute of America. 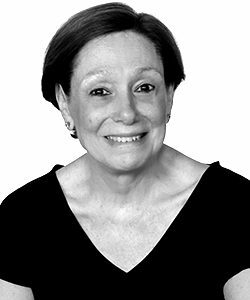 Visiting Scholar at Stanford University PhD, William and Sue Gross Professor of Classical Studies Art, Art History, and Visual Studies, Duke University, Department of Classical Studies. Maurizio Forte, PhD, is William and Sue Gross Professor of Classical Studies Art, Art History, and Visual Studies at Duke University. 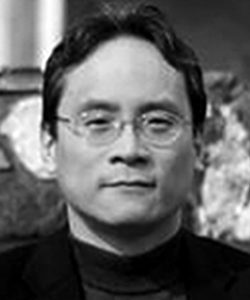 He is also the founder of the DIG@Lab (for a digital knowledge of the past) at Duke. 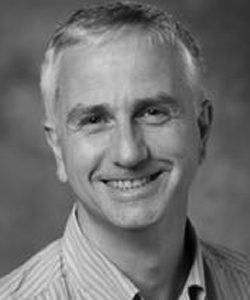 His main research topics are: digital archaeology, Etruscan and Pre-Roman archaeology, classical archaeology and neuro-archaeology. His primary archaeological research questions concern the development, transformation and decline of ancient cities. Archaeological fieldwork and excavations: Vulci (Italy), Catalhoyuk (Turkey), Agringento – Valley of the Temples (Italy), Burgaz Project (Turkey). He is editor and author of several books including “Virtual Archaeology” (1996), Virtual Reality in Archaeology (2000), “From Space to Place” (2006), “La Villa di Livia. Un percorso di ricerca di archeologia virtual” (2008), “Cyberarchaeology (2012), Regium lepidi 220: Archeologia e nuove tecnologie per la ricostruzione di Reggio Emilia in eta’ Romana (2017); Digital Methods and Remote Sensing in Archaeology (co-editor S. Campana, 2017); and he has written more than 200 scientific papers. He got several international awards such as the Best paper award at VSMM 2002, 2010; E-content Award 2005, 2008; Tartessos Prize on Virtual Archaeology (2010). He is also the field school director of the Vulci 3000 field school in Italy. Professor in the Architecture department at Pennsylvania State University, University Park, PA, USA, Pantheon Institute, Rome. Romolo Martemucci was Professor of Architecture at the Penn State University and Director of Penn State Sede di Roma from 1990-2009 in addition to serving as interim department head of Architecture at Penn State University from 1995-1997. 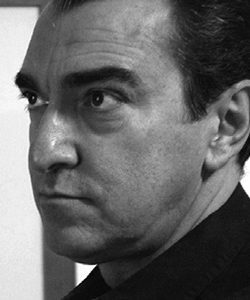 Prior to becoming the co-founder and Director of the Pantheon Institute, he was also the creator of the La Magia Institute in Rome which offered special courses in architecture and landscape architecture, and co-founder and Director of the Accademia Adrianea, which currently offers a unique Italian-accredited Masters certificate in Museography, Architecture and Archaeology. 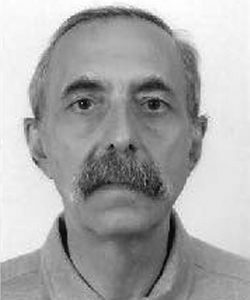 Teaching since 1977, his academic and research interests include architectural theory, representation and meaning in architecture, urban design, materials and materiality, the human body as paradigm, Renaissance planning and town design, the work of Biagio Rossetti and the city of Ferrara, Italy. Koç University, Archaeology and History of Art, Faculty Member. 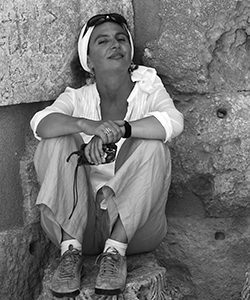 Alessandra Ricci, teaches Late Antique and Byzantine archaeology at Koc University`s Department of Archaeology and History of Art (Istanbul); currently serves as the ‘renowned’ director of the Italian Cultural Institute in Istanbul. A Byzantine-period archaeologist, she obtained her PhD at the University of Princeton and moved to Istanbul in 2008. In Istanbul, works with the Istanbul Archaeological Museums at the The Küçükyalı ArkeoPark Project (https://kyap.ku.edu.tr/https://www.facebook.com/kucukyaliarkeopark). This is a Byzantine-period urban archaeology project, focusing on archaeological inquiry and public engagement. Professor of International Law, Faculty of Law, University of Milano-Bicocca, Milan, Italy. 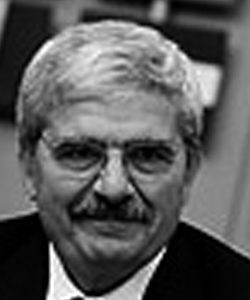 Tullio Scovazzi is professor of international law at the University of Milano-Bicocca. As a legal expert, he occasionally attends negotiations and meetings on cultural heritage (tangible heritage, intangible heritage, underwater heritage, restitution of removed cultural properties), environmental law, law of the sea, and human rights. Architect- Archaeologist, Head of Education Acropolis Restoration Service until 2011. 1974: Diploma school of Architecture, University of Thessaloniki. 1985-1995: Worked at Campion School in charge of Education through Museums on Open Day Programmes for children and adults organized in collaboration with nine Athenian Museums Approx. 10.000 persons participated in these programmes. 1987-2011: Hired by the Hellenic Ministry of Culture-Committee for the Preservation of the Acropolis Monuments, to organize the Acropolis Education Department. 2000: Head of the Department of Information and Education of the Acropolis Restoration Service. Organised several Education Programmes (open day, tactical and special programmes) Conducted seminars for some 20,000 people working the education profession; organised exhibitions of children’s artwork; organised eight Symposia for Educators under the general title Educators and Programmes about the Acropolis and published their proceedings. Produced many educational resources (books, pathfinders, museum kits) covering more than 25 different subjects; among them the books Parthenon Promenades, An Ancient Greek Temple, The Twelve Olympian Gods, The Parthenon Frieze, Acropolis and Education. Participated in many Greek and international Symposia, as well as in publications in several archaeological and pedagogical periodicals. Dist. Professor at Faculty of Law, Kyushu University, Director of International Programme, Japan, Vice President ICOMOS. Toshiyuki KONO is Distinguished Professor, Kyushu University (Fukuoka, Japan). He currently serves as Vice President of the International Council of Monuments and Sites (ICOMOS), an advisory body of UNESCO, since 2014. He is in charge of, among others, World Heritage issues. He has been active in UNESCO as an independent expert as well. For example, he served as Chairperson of the 3rd General Assembly of the State Parties of the UNESCO Convention for the Safeguarding of Intangible Cultural Heritage in 2010 and Chairperson of the Legal Committee of the 34th UNESCO General Conference in 2007. He is Vice President and Titular Member of the International Academy of Comparative Law; Chairman of the Committee for Intellectual Property and Private International Law at the International Law Association.